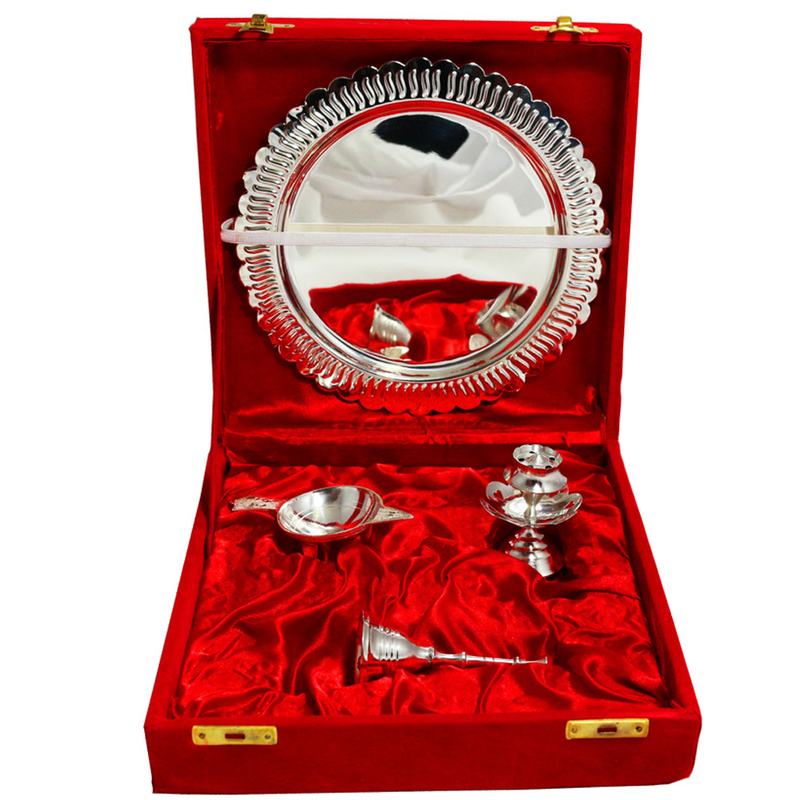 The custom of utilizing the german silver plated things are being taken after from ages in view of its peaceful look, untrusting properties and exquisite Read More..quality. They are the exemplification of sacredness. 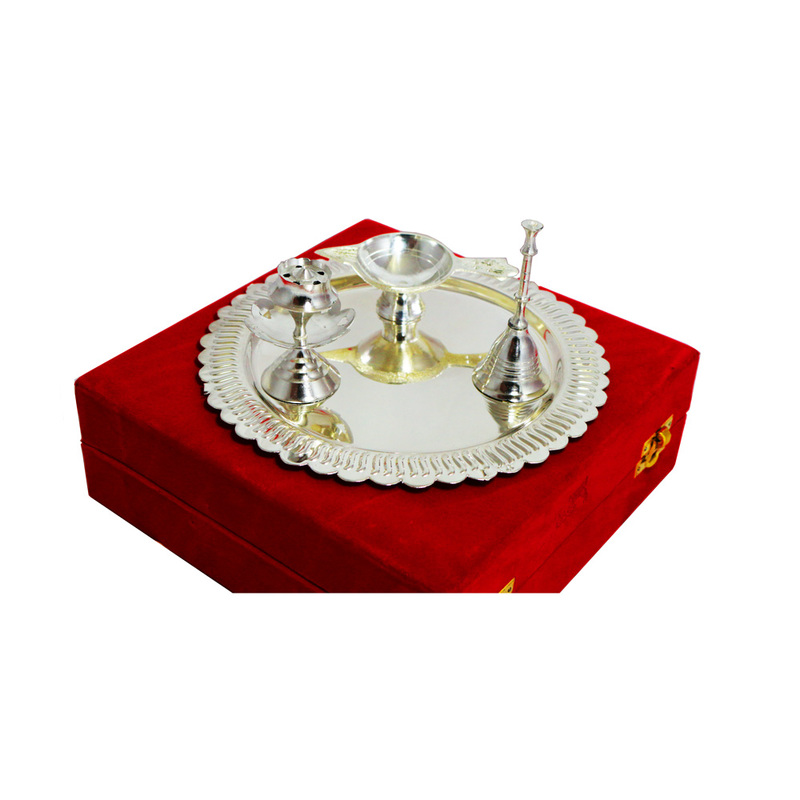 This german silver pooja thali is comprised of premium metal and the gleaming impact of the plate has the ideal search for universally handy blessing. . Show Less..